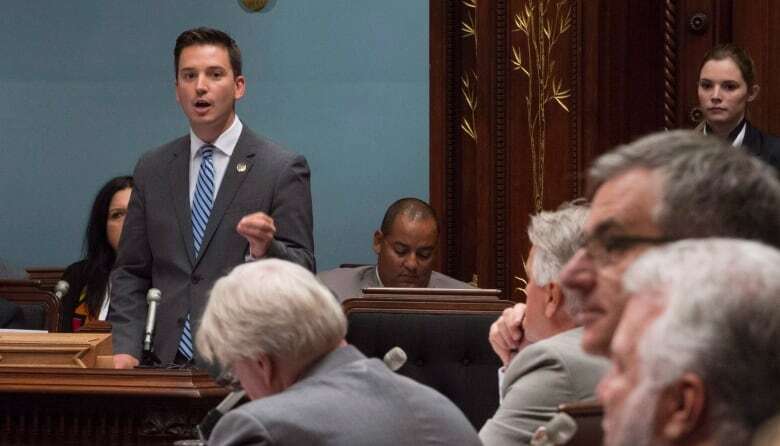 Simon Jolin-Barrette​, 31, is a suburban dad, recreational golfer, unrepentant nationalist — and the Quebec government's point-man on the most contentious issues on the CAQ agenda. Meet Simon Jolin-Barrette​: 31, suburban dad, recreational golfer, unrepentant nationalist — and the new Quebec government's point-man on the most contentious issues on the CAQ agenda. Jolin-Barrette was sworn in as minister of immigration, diversity and inclusion at the National Assembly Thursday. Premier François Legault's decision to turn to the youngster with little political experience surprised many. As immigration minister, Jolin-Barrette will have the delicate job of cutting the province's immigration levels in the face of widespread opposition from a business community coping with labour shortages. On top of that, he'll have to implement Legault's hazy idea of requiring newcomers to pass language and values tests in order to qualify for a Quebec selection certificate — the constitutionality of which is unclear. And then there is the potentially Sisyphean task of dealing with anxieties about accommodations for religious minorities. In a speech Thursday, Legault made it clear he will try to ban certain civil servants, such as teachers and police officers, from wearing religious symbols. Prime Minister Justin Trudeau has already expressed his unease with the move, and it was the subject of a protest several thousand strong a few days after the election. Legault's own reasoning on religious neutrality can, at times, be difficult to follow. He intends to keep the crucifix in the National Assembly, saying that even though it represents the Christian values of province's founders it is a historical symbol, not a religious one. Part of Jolin-Barrette's workload will be defending his boss's statements. One is tempted to say, "Good luck, young blood." But over the course of his short career, Jolin-Barrette has demonstrated he's got some game. He was not long out of law school when he first ran for provincial office. 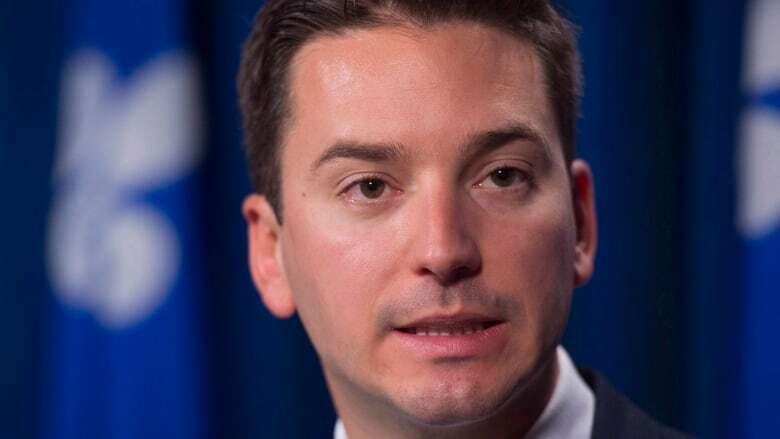 Two years later, at age 27, he narrowly beat a Parti Québécois cabinet minister in the South Shore riding of Borduas. Since then, he's become a dependable spokesperson for the CAQ on a host of issues, including the environment and intergovernmental affairs. 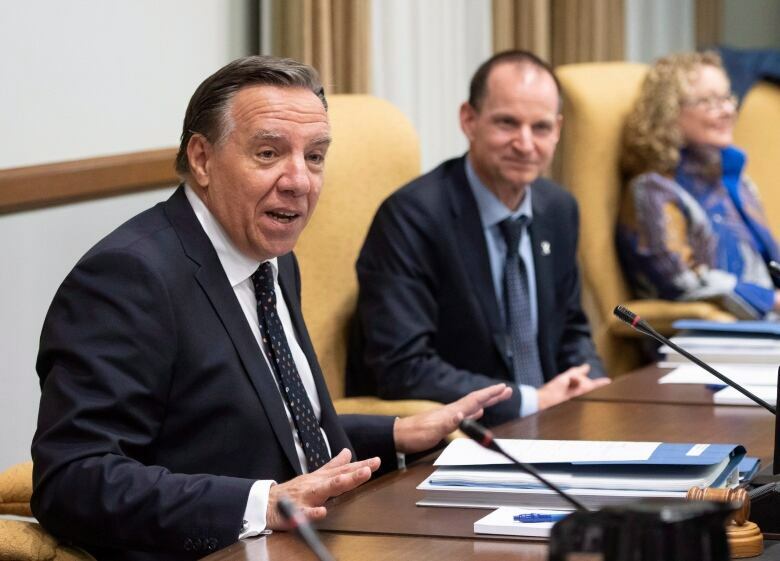 As a sign of Legault's trust, Jolin-Barrette was also made the CAQ's parliamentary leader — in case he wasn't busy enough with the immigration file. Indeed, it could be argued Jolin-Barrette was given one of the toughest portfolios in cabinet. Balancing the budget this year should be a stress-free enterprise for Finance Minister Éric Girard compared to what Jolin-Barrette has been asked to do. In the steeplechase that Jolin-Barrette has been asked to run, Quebecers will get a glimpse of the next generation of provincial politician. Or at least, one version of the next generation. He was not yet born when the Constitution was repatriated without Quebec's signature, but he understands the event as a great indignity. Yet the answer, for Jolin-Barrette, is not sovereignty, but nationalism. "You don't have to be separatist to be a nationalist, and to demand that Quebec be respected on its own," he wrote in a book published earlier this year. 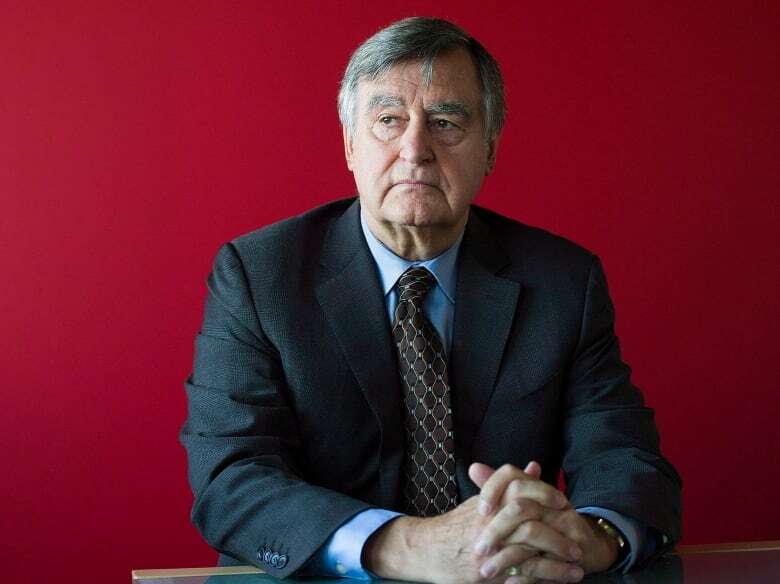 The book — J'ai confiance: Réflexions (sans cynisme) d'un jeune politicien — is a homage of sorts to one of Jolin-Barrette's political heroes, former PQ premier and founder of the Bloc Québécois, Lucien Bouchard. In recent years, Bouchard has distanced himself from the sovereignist​ movement and championed pro-business causes. Following Bouchard, Jolin-Barrette​ bemoans in his book the bloated Quebec state that has sapped the province's entrepreneurial culture. He pines for the work ethic that exists south of the border. "The society in which [Quebec workers] find themselves doesn't really value effort," Jolin-Barrette writes. "In the United States, there is pride in telling someone that you work 60 hours per week. That's not the case in Quebec." The word work appears 77 times in the 120-page manifesto. He looks to Quebec's small rural towns for signs of hope. In places like Saint-Denis-sur-Richelieu and Saint-Jean-Baptiste, a "spirit of solidarity" thrives without the help of government; people volunteer in their community, organize festivals, help each other out. "In these cradles of patriots, citizens are proud of their heritage and don't hesitate to honour it," Jolin-Barrette says in the book. Legault doesn't have a reputation of being an ideologue, but by inviting people like Jolin-Barrette into cabinet, he is turning loose a new brand of social conservative on Quebec's thorniest social issues. Beyond the laws it will pass, this could be the CAQ government's most enduring legacy.